American Lung Association Charitydine.com, a popular resource for deeply discounted dining certificates has partnered with The American Lung Association that was founded in 1904 for the purpose of fighting tuberculosis by Edward Trudeau, Lawrence Flick and others and it is the oldest voluntary health organization in the U.S. The original name of the organization was the National Association for the Study and Prevention of Tuberculosis, and its current name of American Lung Association was first adopted in 1973. It is a public health non-profit organization that relies on the generosity of donors and public funding in order to sustain itself. The American Lung Association is the leading organization in the United States that is working to prevent lung disease, save lives and educate the public. It has a long history of protecting the American public, fighting for healthy air, and leading the fight for healthy lungs. As a result of polices implemented by the American Lung Association, tuberculosis was in control in the United States by the year 1954. 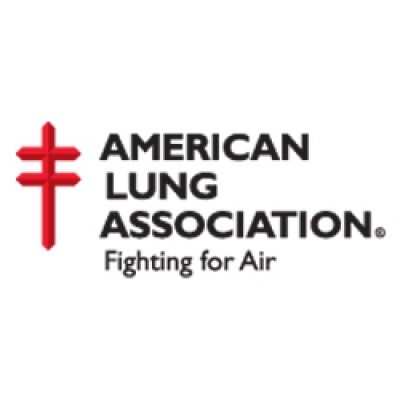 The American Lung Association fights for clean air and lung health Although it was founded initially to combat tuberculosis and raise awareness of lung diseases, the organization has been fighting for clean air for several years now. It has helped influence government policies regarding clean air. The American Lung Association was the first organization that fought smoking as one of the greatest risks to lung health, and it has fought to show the link between air pollution and lung disease. Some of the accomplishments of the American Lung Association include stopping smoking on airplanes, and stopping tobacco companies from television advertising and preying on children and the public. The current fight The American Lung Association continues to fight for lung health and public health education. The organization educates the public about the dangers of smoking and other risks to lung health. The organization provides educational materials and developed the Freedom From Smoking program which has helped thousands of people quit smoking. They produce the State of the Air report which has ended up becoming the national benchmark for air quality. The organization also publishes the State of Tobacco Control report which details the fight against tobacco and how it is progressing. It continues to be a major influence in politics and helps to shape policies that dictate public health. The American Lung Association saves lives Donating to the American Lung Association helps to save lives. It is the leading organization that helps to prevent lung disease, which is responsible for one out of six deaths in the United States and over 33 million people. It costs millions of lost days at work and school and the total cost is in the billions in healthcare. The American Lung Association does everything it can to fight lung disease, childhood asthma, lung cancer, smoking, secondhand smoke, unhealthy air, the flu and other diseases. The association funds research grants and raises much of its money through its Christmas Seals program which was first issued in 1907 to fight tuberculosis and have been issued every year since then to raise money for the organization.